Forget everything you think about Discus, your fears or bad experiences. Welcome to the largest specialized Discus distributor in Quebec and probably in Canada, Montreal! With our more than 20 years of experience, we guarantee you the best services. In order to offer you the best Discus quality, we decided to specialize in discus. So we can offer many different varieties of the best Discus quality in the world. 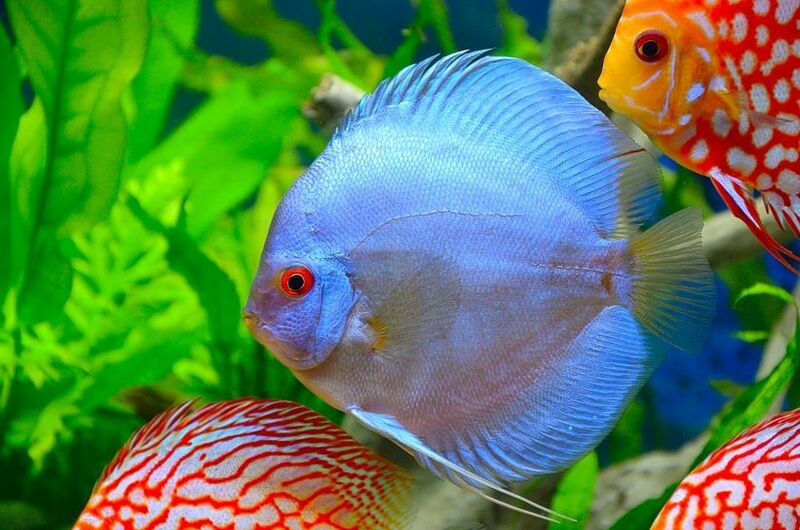 Discus is a great fish, with a grace and a particularly rare intelligence in aquarium fish. More and more people dream of owning this fish, it is the sign and the culmination of a passion for freshwater aquarium. This is why we decided to create Discus Paradise in Montreal, Quebec, to satisfy the craze towards this fish that has a worldwide reputation. With our fish, you are assured of high quality fish! Discus from our world-renowned breeding, no hormones are given to them that make them more colorful but also more fragile small, sterile and less beautiful growing up! With good care, our Discus will grow to a mature height of more than 6 inches, they will be healthy and live long.